Pennsylvania's designated portion of US Bike Route 50, was approved by the American Association of State Highway and Transportation Officials (AASHTO), last month meaning that it now extends 538 miles from DC all the way to the Indiana/Illinois state line, except for a small gap in West Virginia (No teeth jokes). The 163-mile Pennsylvania route mostly follows off-road trails, including the popular Great Allegheny Passage, Montour Trail, and the Panhandle Trail. Eventually the route will go all the way to San Francisco. Pennsylvania’s portion of U.S. Bicycle Route 50 connects Maryland to West Virginia through a variety of natural and agricultural landscapes, historical sites, thriving small towns, and recreational hot spots. Cyclists can visit restored rail stations; Ohiopyle State Park, which has some of the best white water rafting on the East Coast; Point State Park in Pittsburgh; and the nearby Fort Pitt Museum. Additionally, Amtrak’s Capitol Limited route parallels U.S. Bicycle Route 50 between DC and Pittsburgh and offers the opportunity for cyclists to carry their bikes on or off the train at any station. This multimodal option allows for more flexibility to plan bicycle trips without a car. In addition to the eastern end of USBR 50, the DC area also is the location of the northern end of USBR 1. Seems like one should be extended a little to connect to the other. Someday you'll be able to bike all the way to San Francisco, making Indiana a bike-over state. Why not have an adventure? The Adventure Cyclist Association wants to know if you're ready for an adventure, and if you have what it takes. Why have a staycation when you can have a vamoscation? Why sit at home, where you can be predictably located, when you can cover a lot of distanced with ACA and a license-plate free bicycle. That's right, a bicycle is a great way to see the country while you ride away from wherever you are now. And with ACA, we promise that your bicycle adventure will be one you never forget - unless you want to (we can arrange that). Ride on quiet back roads, free of dangerous cars and suspicious law enforcement types. Pay for food with cash, or just dig it out of dumpster. Never dumpster dived before? We'll teach you! And if you're worried that we're going to go soft on you, don't be. We'll ride every single day until your adventure is over. When you get tired, your guide will be there to remind you that "we really need to keep moving." Every adventure is tailor made for you, you're goals, your budget* and your predicament. Whatever your destination - Mexico, Canada, a remote cabin in New Hampshire, or even an Omaha Cinnabon - feel secure knowing that our experienced guides know exactly how to get you there without any "entanglements." So whether you're a recently unmasked meth-manufacturing kingpin, a former National Security Adviser who told a few innocent fibs about Russia or just another gal who faked her own death for the insurance money rest assured that ACA will never ask you about that (and you should definitely not tell us. You're just on a bike trip as we see it, Jonah, and that's what we'll tell anyone who asks). So start your adventure today (seriously, time is not your friend). *Price depends on factors like distance, your fitness level and attention you've already attracted. Cash only. Up front. In small, unmarked bills. DC to Richmond Greenway "not a competitive choice for intercity travel"
The September 11th National Memorial Trail is a 1,300-mile commemorative trail linking the National September 11th Memorial at the World Trade Center site in New York City, the Pentagon Memorial in Arlington County, VA and the Flight 93 National Memorial in Somerset County, PA. and it just got some good news from CSX railroad last week when they agreed to donate 130 acres of undeveloped land, including miles of railroad ROW, in Pennsylvania to the project. The properties CSX is contributing to the 9/11 trail traverse approximately 5.6 miles of undeveloped land between Garrett and Berlin, Penn., and four miles of undeveloped land between Berlin and Shanksville, Penn. The properties were previously used as a right-of-way for railroad operations. CSX has owned many of the properties for 145 years or more, since the 1870s. It is envisioned as a multi-use corridor for hiking and bicycling and features an accompanying quiet, back-road motor route for driving, motorcycling and public and tour transportation. The Trail also has been designed to link historic points of interest along the route where the resiliency and courage inherent in American character have shone throughout our history. Here's more about how it will connect to DC and the site includes a map of the Pentagon Memorial Trail Circuit in and around DC. The southern leg of the trail begins at the Pentagon Memorial extending northwest along the 184-mile Chesapeake & Ohio National Historical Park (www.nps.gov/CHOH) then connecting the 150-mile Great Allegheny Passage (www.GAPtrail.org) completed to Pittsburgh. It is planned to proceed north for approximately 25 miles from the Great Allegheny Passage near Rockwood to the Flight 93 National Memorial in Somerset County, Pennsylvania. The 337-mile eastern leg from New York City’s National September 11 Memorial & Museum to the Pentagon Memorial would align with the East Coast Greenway. The Great Allegheny Passage is in Garrett, by the way - so this land will make up almost all of the new right-of-way needed to connect the Pentagon to Shanksville. The Adventure Cycling Associationa and ASHTO recently announced the addition of 800+ miles of road and trail to the U.S. Bicycle Route (USBR) system. 3.6 miles of that was added in DC as the DC portion of the C&O Canal Towpath officially became part of USBR 50. The Maryland portion became part of USBR 50 in October of 2013. USBR 50 roughly parallels the American Discovery Trail,starting in DC and passing through Pittsburgh, Dayton, St. Louis, Kansas City, Omaha, Lincoln, Provo, Salt Lake City, Reno and Sacramento before ending in San Francisco, The C&O Canal path is one of the only portions of this route to be fully implemented (along with Ohio's portion) at this time, but Pennsylvania, Nebraska, Nevada, and West Virginia are all working on it. Here's the current USBR status in the area. 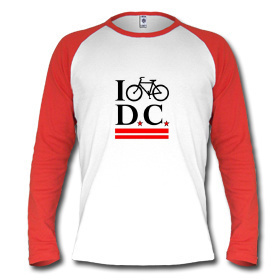 The District of Columbia Metropolitan Washington Council of Governments' Bicycle Committee, with representatives from Virginia and Maryland, are working to extend USBR 1 (alond the East Coast) through DC and Maryland. Maryland DOT is not currently working on designating USBR 1 and USBR 11; however, MDOT is working with the East Coast Greenway on a signing project for their 166-mile route alignment through Maryland. MDOT plans to submit an application for USBR 11 once the ECG project is complete and issues relating to the preferred alignment for USBR 11 are resolved. The success of USBR 50 combined with completion of signing along the ECG alignment will provide sufficient precedent for working with numerous other jurisdictions to support USBR 1. Virginia has two U.S. Bicycle Routes 76 and 1, originally designated in 1982. Currently the state DOT is realigning USBR 1 through the northern portion of the state due to changing road conditions and access problems. The DOTs applications for route realignments were approved at AASHTO's fall meeting, with more updates planned for the spring meeting. You can access Virginia's U.S. Bicycle Routes via their free state bike map or view the entire route of USBR 1 and 76 in Virginia in an interactive Google Map. Portions of the routes are currently signed through the state. In an effort to make broader changes to the U.S. Bicycle Routes running through the state, a team with representatives from the Virginia Bicycling Federation, VDOT, East Coast Greenway,Department of Conservation and Recreation, and Adventure Cycling are working on the major route changes for sections of USBR 76 and USBR 1. Monday Morning Commute - No, it's not a short week. It's 7 days, just like always. The Examiner takes on the issue of illegalish U-turns across the Pennsylvania Avenue cycle-track. The Met Branch Trail is about having a good time. Free bike race on Saturday. New bike parking at CUA Metro Station (I think I already posted photos of some, but not all, of these). "The VBF has worked with the East Coast Greenway and VA Department of Conservation and Recreation to publish the East Coast Greenway Virginia: A Guide to Bicycling and Walking." The ECG goes right through the DC area. One letter writer to Dr. Gridlock asks that drivers not stop at the W&OD trail/road intersections, pointing out that the cyclist has a stop sign and the driver does not. I do agree that this is probably the safest way to deal with intersections as currently set up, but the confusion probably comes from the design. People can't even agree on the legality of the trail stop signs. Do stop signs apply to pedestrians? Some better design (a traffic light controlled intersection?) is probably needed. Construction at the King Street Metro will add more bike parking starting in the spring. A Canadian study uses bicycling fatality reports of helmet use and cause of death to determine that those wearing helmets are three times less likely to die of head injuries. Of the 129 fatalities in Ontario between 2006-2010, about 10% of them could be avoided if helmet use were universal. That sounds about right to me. I suspect you'd see similar numbers for pedestrian helmets. Some letter writers in NYC make their case for why cyclists should wear helmets. Injured veterans finished their cross-country bike ride in DC on Sunday. An American Olympic BMX biker died in a car accident when he lost control of his truck at high speed and crashed. He wasn't wearing a seatbelt. LA's CicLAvia had about 100,000 participants. "The Tour de France will have no official winner for the seven races from 1999 to 2005 if Lance Armstrong is stripped of his victories by the International Cycling Union." *My friend blames the Verrazano for killing his grandmother. She lived in a house that had to be destroyed for construction. They moved her and all her stuff out on a day that was really cold. She got the flu a few days later and died. I tried to tell him that you don't get the flu from being cold, but he insists that the bridge is a murderer. Those of you who ride or commute over Memorial Bridge might find construction delays starting today. "The National Park Service says crews will repair the concrete bridge deck and bascule span, resettle the granite curb and replace sections of the sidewalk....Lane closures are expected to cause delays, but pedestrian access will be available at all times." Work will be complete by the end of November. This story of a National Triathlon competitor who did the bike leg on a CaBi bike is awesome. But this comment might be awesomer "Sad thing is I feel sorry for the people who didn't beat him and spent money on expensive bikes, non-puffy shirts, and a helmet that fits right." Even though he racked up more than $100 in fees, DDOT decided not to charge him out of professional courtesy. But for the numbers attached to his bike, I would wonder if he hadn't just gone out for a bike ride and then joined the race for fun. The Obama hugger once biked from Florida to DC. "Van Duzer’s June bike-trek was part of his Van Duzer Foundation, and helped raise awareness for blood donation shortages. Founded in 2008 to support a local firefighter whose house burned down, the foundation has since raised more than $600,000, Van Duzer said. Van Duzer said he rode with a few kids from the Boys and Girls Club and met with U.S. Surgeon General Regina M. Benjamin to discuss blood shortages." Anyway, despite putting in a lot of effort into what I think everyone can agree is a good cause, some people are boycotting his store because he hugged Obama. [Just to balance things out I'll point out that the Democratic mayor of Trenton was arrested for corruption and a Democratic candidate for Congress in Maryland quit the race because she committed voter fraud - fraud she could have committed even with new strict voter ID laws. So, there's bad behavior all over the place. But none of it by Van Duzer who seems pretty awesome]. I expect to see everyone wearing one of these as soon as they come on the market. If you don't think it works, try smashing your face into the pavement without one. 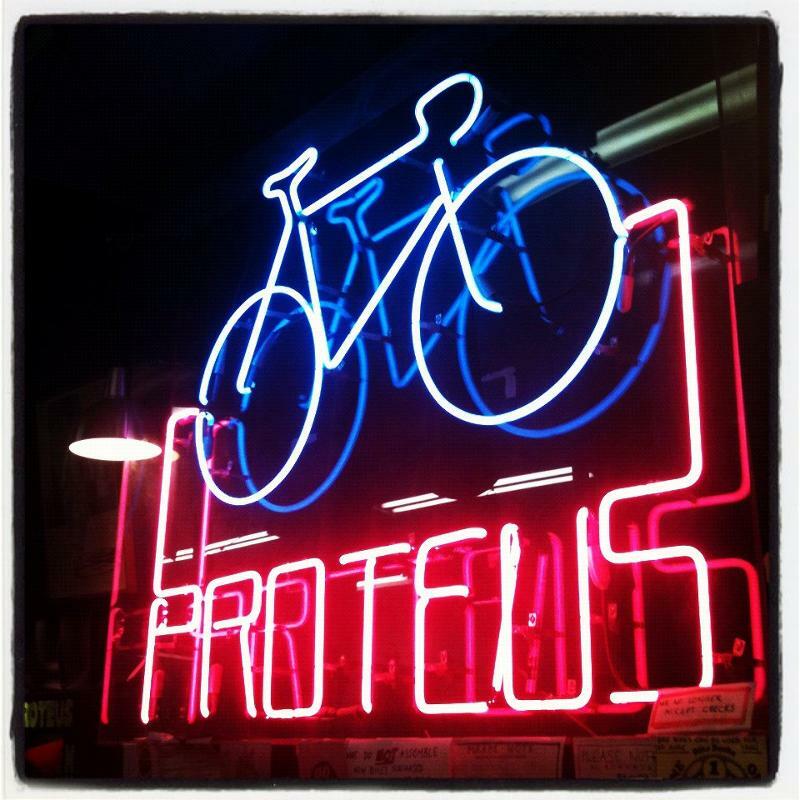 A profile of Proteus Bicycles in College Park. "But while the bike-lined walls and vast inventory have created many loyal customers, the shop is as much a social hangout as it is a business. On weekends, workers and friends take customers on rides throughout area trails and on Thursdays, they gather for a potluck from 7 p.m. to 9 p.m., in line with a long tradition of serving visitors more than spokes and wheels." Call of Duty Ride comes to DC. "The 24 cyclists are half Americans and half Australian—united in their call of duty. They are all first responders—pedaling more than 2,600 miles together in memory of the men and women who paid the ultimate sacrifice defending our freedom." They're heading to NYC for the 11th anniversary of 9/11. Pittsburgh cyclist stabbed in possible road rage incident. Not from the Onion: A couple of researchers are studying the utility of a facial protection mask for cyclists. Bike crashes in Chicago are up 38% since 2000, but bike commuting is up 140% over the same time. And those 2001 numbers don't include doorings which account for about 1 in 5 crashes. The 2011 numbers do. One problem that Chicago has identified is the short yellow cycle - it may not allow enough time for a cyclist who enters on a green to clear the intersection. "city transportation officials say that the yellow lights there — as well as all others in the city — are set according to federal standards based on the speed limit and that changing them would open up the city to lawsuits in the event of crashes. Still, the standards “are time-tested recommendations developed over many, many years by many committees, so sometimes they’re not quite up to date in terms of how cities are changing quickly, especially with bikes,” says Luann Hamilton, a CDOT deputy" commissioner.